Arsenal midfielder Aaron Ramsey has given Arsene Wenger a major fitness boost after returning to the Gunners squad for their trip to Queens Park Rangers on Wednesday night. At Colney. 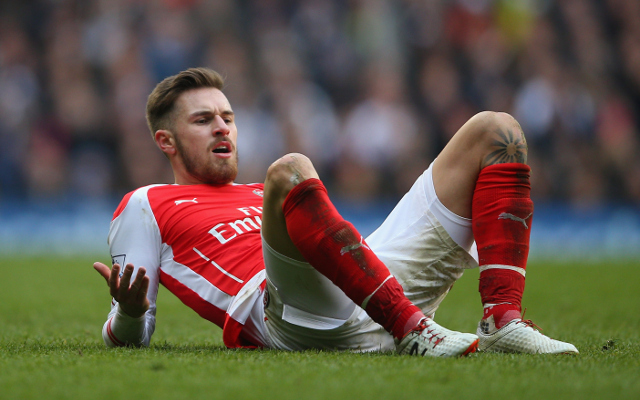 Wenger: "Ramsey back in the squad. We have to check Coquelin. Flamini will miss next 2 games. Wilshere out for a few days." Mathieu Flamini, meanwhile will be missing from the next two games and Jack Wilshere will also be sidelined following a minor ankle operation.